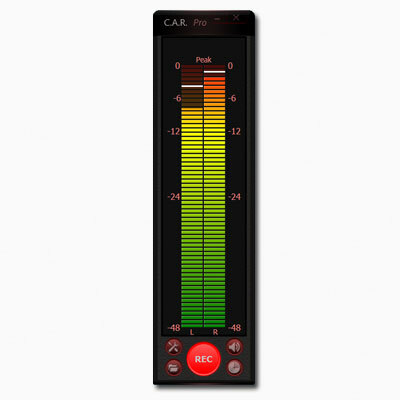 Cypheros Audio Recorder can record what comes out of the loudspeakers easily and quickly and stores them directly as MP3, OGG, FLAC or wave files in highest quality with full dynamic volume and free from noice. Often you just want to record a song that you like very much. There are many Rippers, downloaders and other programs that also promise but often do not work, are contaminated with malware or are far too complicated. Cypheros Audio Recorder works with just one push on a button, reliable, fast and guaranteed without malware. 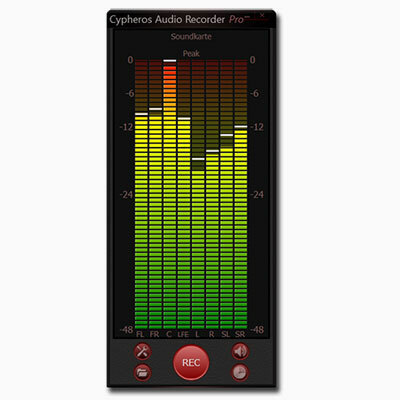 Cypheros Audio Recorder Light is free to use. Just download, install and use it (free of ads). The Pro version offers professional recordings with even higher quality levels, VBR and lossless formats like FLAC and WAVE. In addition, multi-channel recordings with 5.1 and 7.1 are also supported for the formats FLAC, WAVE and OGG. Here you can download the latest version of the Cypheros Audio Recorder. This file can also be used to update older versions or to use the Cypheros Audio Recorder without obligation and free of charge as a light version.